AquaDine® Nutritional System offers a variety of high-quality fish food to suit the particular requirements of all freshwater species. We pay attention to the vital role that vitamins and minerals play in the diet of freshwater fish. All AquaDine® formulas include vitamins and supplementary minerals. Wardley® Shrimp Pellets Formula is formulated from a nutritious blend of ingredients including shrimp. 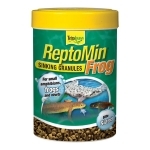 This sinking pellet formula is ideal for feeding a variety of tropical fish especially bottom feeders such as catfish, plecostomus and loaches. Wardley® takes care of the science so you can enjoy your fish. Loaded with natural color enhancers such as salmon skins, this formula offers the hobbyist extreme, yet healthy, color enhancement in the form of a pellet. To make these flakes, we start by harvesting fresh ocean kelp by hand from the Gulf of Alaska. It is then combined with an incredibly nutritious mix of fresh seafoods, including wild salmon, halibut, and shrimp. Perfect for all veggie eaters and especially rich in vitamins and minerals. These amazing, color-enhancing pellets were developed to help your cichlids thrive. They contain the same balanced nutrition and unsurpassed taste as our existing cichlid line, but made even better for your prized cichlids. Offered in a small and large pellet size. 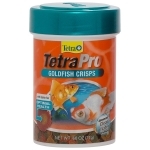 Small, medium, and large pellets formulated specifically for the goldfish digestive system. Great for color enhancement. Large pellets can also be used in ponds. 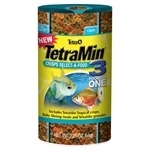 Small, medium, and large pellets for all types and sizes of cichlids. Offer superb color enhancement, with unsurpassed nutrition and palatability. A nutritious mix of seafood ingredients is combined with the optimal amount of spirulina to make this an excellent diet for the community saltwater tank. Loaded with natural color enhancers such as salmon skins, Omega One Super Color Flakes offer the hobbyist an extreme, yet healthy color enhancement opportunity for their fish. Omega One Goldfish Flakes are formulated with higher levels of quality proteins and fats than other goldfish foods. This delicious recipe of fresh, cold water seafood is blended specifically to enhance the levels of Omega 6 fatty acids. Bite-sized, floating multi-mix pellets provide an attractive blend of small floating pellets that your goldfish will love. Patented ProCare formula supports fish’s immune system. 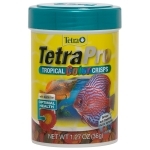 TetraPro Color Crisps provide advanced nutrition for the discerning fish-keeper. Unique four-section canister provides highest quality nutrition and feeding fun. he world’s favorite fish food continues to be an innovation leader. 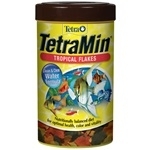 Today’s TetraMin® has been improved with the fishkeeper’s success in mind. 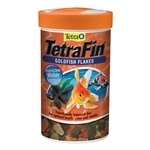 Tetra’s "Clean and Clear Water Formula" means that the flakes are even easier to digest and do not leach color thereby keeping aquarium water clean and clear. TetraMin® continues to be made with patented, health enhancing ProCare. This precise blend of immunostimulants, vitamins, biotin and Omega-3 fatty acids is custom designed to strengthen fish’s resistance to disease and stress. These whole sun-dried shrimp (Gammarus), including the shell, are an excellent source of roughage to support digestion. 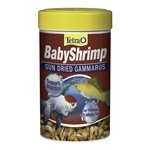 Great for larger ornamental fish. Nutritious food for frogs, newts and other small amphibians. San Francisco Bay Brand® Sally's Freeze Dried Krill™ harvested from Antarctic waters, contains extremely high Omega-3's and astaxanthin (a carotenoid responsible for the vibrant colors of tropical fish). San Francisco Bay Brand® Sally's Freeze Dried Mysis Shrimp are excellent for finicky eaters and one of the few foods that seahorses will eat with no problems.